Foods that can actually glow and lighten your skin. Why should you waste money on lotions just to make your skin glow when you can glow your skin without spending extra cash by adapting to a good eating habit! There are numerous of foods that are good for your skin which is also healthy. However, we often take the habit of spending huge sums of money buying whitening creams and other cosmetics just to please our skin. It is not wrong to buy some lotion to oil your skin to prevent you from looking like a ghost but you don't have to spend much doing this if that's all you want. On the contrary, you can get yourself a natural body lotion made from cocoa or shea butter. Whether you want to have a beautiful and shiny skin or you just want to tone your skin to make it glow. There are a number of great foods that can help you achieve this in months. Below are 10 best foods you need to be eating if your aim is to lighten up, tone, or have a glowing skin. Banana is rich in vitamin A, vitamin A in banana helps remove blemishes and dark spots. It also contains vitamin B which helps delay aging. 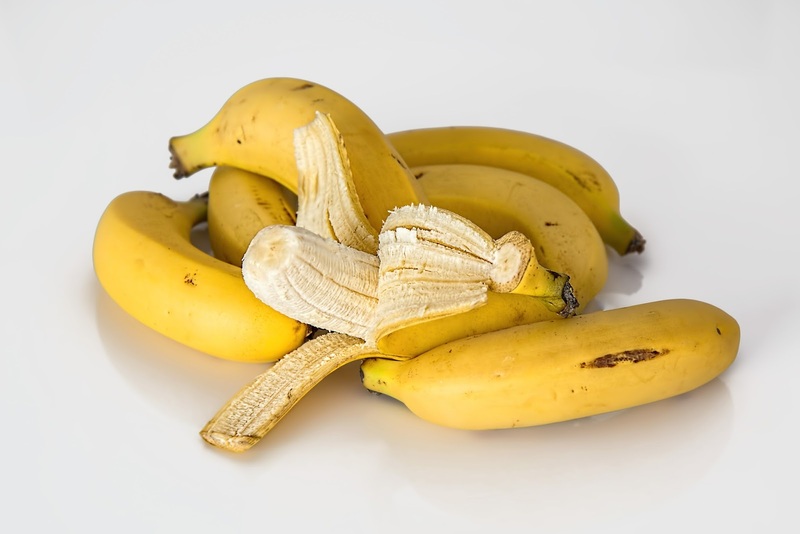 Banana has been said to help reduce skin dryness. It lightens and moisturizes skin as well. 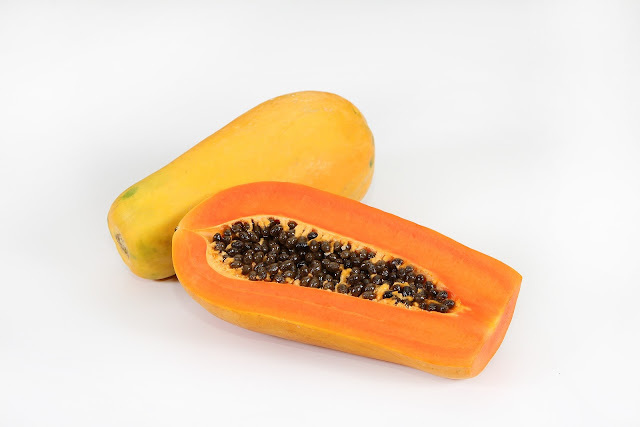 Papaya contains a plethora of active enzymes. These enzymes protect and prevent the skin from inflammation. Papain is another enzyme found in papaya which also helps in removing blemishes. It can also be used to treat pimples/acne which leaves the skin shining and glowing. Now here comes the love food. Dark chocolates which are mostly said to be a love food is also a skincare formula. Dark chocolates brighten your skin making it look fairer and lighter. 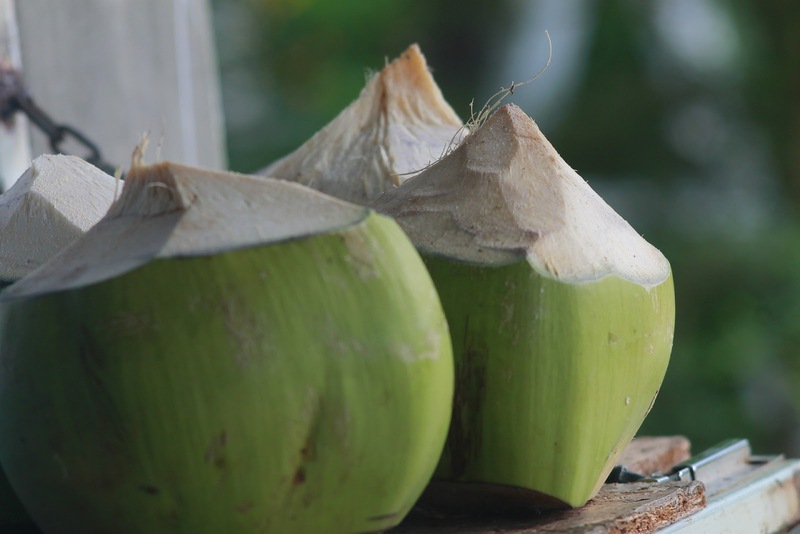 Coconut water is known to be a great source of vitamins and essential minerals. Doctors always advise we drink coconut water as often as we can because It helps keep your body hydrated. It is low in calories. Drinking 1 - 2 coconut water a day will help you lighten your skin and make it look soft. Salmon contains omega-3 and dimethylaminoethanol which protects the cell membrane of the skin by strengthening membrane and avoid your skin for premature aging. Salmon helps in keeping the skin bright and healthy. When it comes to foods that are rich in vitamin C, there's no way you're going to end your list without listing lemons. Lemons are citric fruits that are highly rich in vitamin C. Vitamin C is an anti-aging formula that prevents your skin from wrinkles. Green leaves are one of the best foods one must not avoid. Spinach is one of the most essential green foods you shouldn't say NO to. 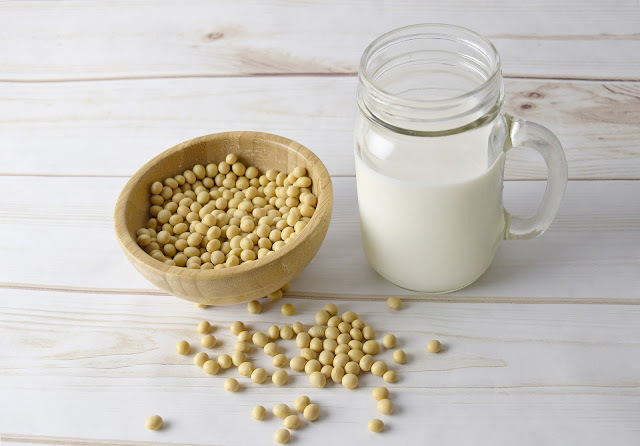 It contains vitamin B which is essential for skin care. Spinach helps in repairing DNA. Green tea has been widely accepted as a medicinal plant. Green tea is also an anti-inflammation formula. It also helps in controlling and preventing cancer. Green tea has been proven to be one of the best skin hacks. If you want a glowing skin, don't forget to pour yourself a cup each day. Foods rich in fiber reduces the risk of inflammation. Oats happens to be another food which is highly rich in fiber. Oats have also been said to be helpful in weight loss. Consuming oats 2-5 times a week will help prevent inflammation and hence brighten up your skin, making it glow.